It’s a Bird, It’s a Plane, It’s Super Fans! Sometimes we even get some pretty rad gifts! 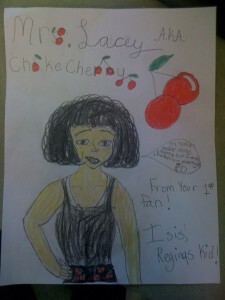 Check out this tribute to the lovely ChokeCherry from her #1 fan. All ARG fans are the best! Without them we couldn’t do what we love to do, and we never forget it. Our Super Fans take their support up a notch. Make that several notches! On an Apocalypstix bout day, you can be sure to find a group of guys dressed in pink and black screaming their support from Turn 4. If you’ve been to a Sake Tuyas bout, you can’t miss their biggest fan running, jumping, and occasionally riding a tricycle around in a spandex suit. We thought we’d ask these amazing fans what it takes to call yourself a true Super Fan. And if you’re inspired by their stories, read on to find out how you can become a Super Fan yourself. 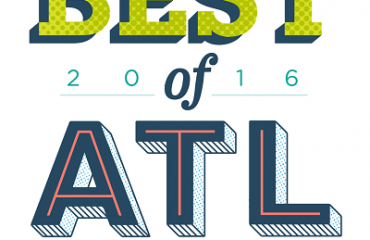 How did you find out about the Atlanta Rollergirls? I was reading a webcomic (Girls With Slingshots) that featured a roller derby storyline. A quick Google search and 5 minutes later and I’d gone through the entire website and decided I had to see this in action. How long have you been a Super Fan? About three years or so now. I knew from the beginning I’d be cheering for the Apocalypstix, but it wasn’t until meeting the players and talking with everyone that I knew I’d be there for every match, screaming my throat raw. What initially drew you in, and what keeps you coming back? The cleverness of the names is what got me first. How can you resist going to see people who’ve named themselves Harper Lethal, or Demi Gore, or Nora Gretz? It’s probably the geek in me, but I appreciate the underlying intelligence that’s inherent in a thing like that, and it’s not something I’ve ever seen in sports before. As for what keeps me coming back, it’s the action, the athleticism, and the people involved. Everyone has been remarkably friendly, and the whole event feels like one big family gathering. What changes have you seen to the game and the league throughout the years? I’ve seen a few rule changes, most of which I think have helped. The 30 second penalty has been nice to keep things moving and prevent blowouts. The other change has been a trend towards more “seriousness” in the derby (Not too bad here, but there’s a general sense of it about). Like I said before, a sense of fun and cleverness is what brought me in, and while I can understand wanting to grow up as a sport, I don’t think the game should ever lose it’s heart. Derby is unique, and it should relish that, not trade it in to be taken more seriously by people who can’t appreciate what’s already there. Favorite team? I don’t know how to talk about the Stix without using clichés. They’ve got so much heart, and so much drive. They never give up, and honestly, they get better every time we watch them play. The ability to narrow a 70 point gap down to three against an undefeated team? Regardless of the final score, that’s a win to me. On top of that, everyone has been so friendly and supportive. It’s nice to know that your cheers are being heard and appreciated. Any favorite players? How can you ask such a thing? It’s impossible to answer. Everyone on the Apocalypstix is amazing in their own right. If I have to name some names, though, I’ll say The Ruffian, Slamborghini, and Ida Backoff. Any pre-game/during-game rituals that help your team win? I’ve tried several things, but none of them seem to work out right, so it looks like blood sacrifice is next on the list. As an aside, did you know there’s no patron saint of roller derby? Someone should do something about that. How did you find out about the Atlanta Rollergirls? I was invited by Jason, he had heard about it from Tanya Hyde and the Interwebs. We went to our first game and have been derby Super Fans ever since, from day one, four years ago. What initially drew you in, and what keeps you coming back? Many things. The game itself is an amazing sport. Anything can happen in one jam. The people are incredible and approachable. The dedication we see each game makes other organized sports look like play acting. What changes have you seen to the game and the league throughout the years? The rule changes each year refine the sport and make it better and better. I have seen this league grow each year, and every year they become more and more unstoppable. The potential that this league reveals each year makes them serious contenders to the Gotham throne. I am sure that one day we will topple that giant. Any favorite players? Oh gosh too many to mention, Nora, Slambo, Holli, Maulder, Jammunition….just to name waaaaay too few. 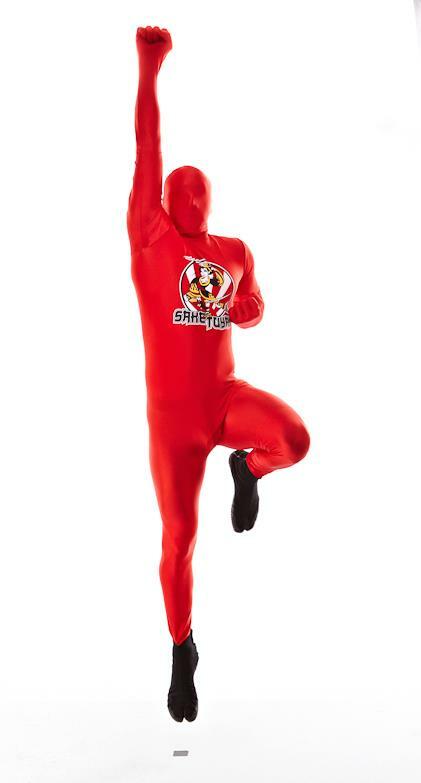 Any pre-game/during-game rituals? We have our cheer weapons to brandish while we ruin our voices. 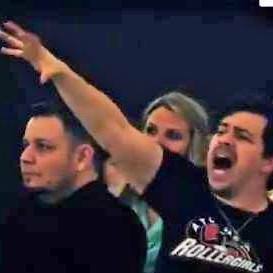 We always cheer too loudly in hopes that the jammer/blockers hear us and gain power from our crazy enthusiasm. We chant and hand out team themed food or rally rags, etc. 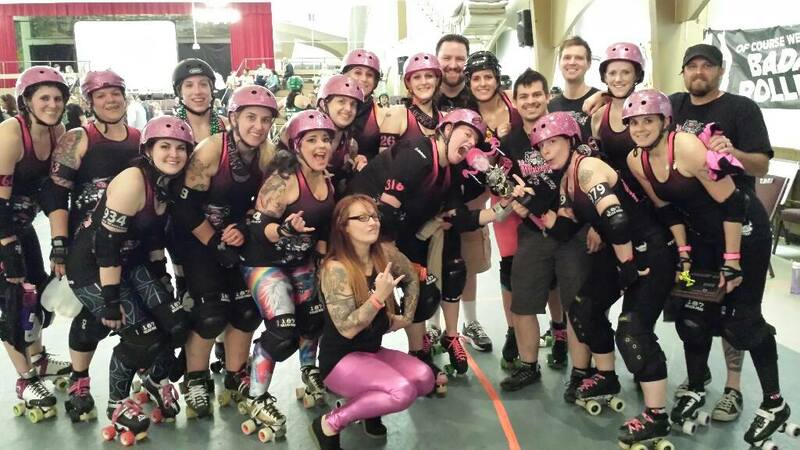 How did you find out about the Atlanta Rollergirls? I was asked to come after my two friends were bitten by the derby bug and fell head over heels in love. I guess “asked” is a bit of an understatement, them telling me flat out that I had to go and then driving me there is closer to the truth. How long have you been a Super Fan? I believe it has been 3 years now? I fell in love after my first bout. I still have the first few things that I asked the teams to sign, cups, seat pads, shirts, posters…. What initially drew you in, and what keeps you coming back? Being able to talk to the team members both before and after the bouts and just admiration for how hard they work are big hooks for me. I cannot get over how some folks manage to play two games back to back and are still able to walk! What changes have you seen to the game and the league throughout the years? The biggest change I have noticed is the new 30 second penalty. It wipes away those massive power jams that could completely sway a game one way or another. Favorite team? Apocalypstix!!!!!!! 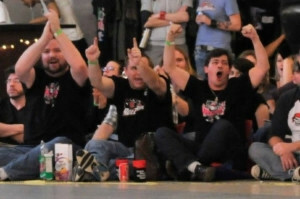 The team was picked before I came to my first bout, since then I bleed pink and black. I have colored my hair pink, grown and colored a beard and mohawk, cut up a couple hundred pink sashes, banged a pink and black hammer until the paint has started to fall off, and spent more time shopping for derby-related stuff (padded chair, snacks, alcohol combination, snacks) than I care to admit! STIX ARMY!!!!!! Any favorite players? Ugh, too many to name!! Slambo, Ruffian, Ida. Everyone is just amazing! Any pre-game/during-game rituals that help your team win? Well, after a few false starts I have nailed down the right combination of snacks and drinks and don’t need to be helped out of games any more. *wink* We try and make sure that the whole team can hear us as they come around to our corner, and if I have any voice the day after a bout then I have not done my job! 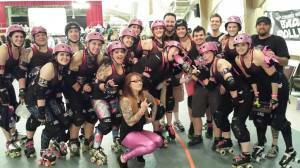 How did you find out about the Atlanta Rollergirls? My co-worker, Tina Tourniquet, convinced a large group of people from our workplace to show up at Shriner’s and watch the Sakes skate in the first bout of the 2011 season. None of us were really sure what to expect, but Kit assured us it would be an enjoyable experience and that we would be able to bring our own beer. She was right about both! Ever since then, I try to attend as many bouts as I can in any capacity I can. I’ve worked security, helped scan tickets, and even patched tape around the track during a bout. How long have you been a Super Fan/Jeerleader? Since the second bout of the 2011 season! During the first bout, one of the derby photographers snapped a picture of me holding a Sakes sign in the crowd. A few Sakes saw the picture and thought I would be someone who could hype up the crowd, so they brought up the idea of recruiting me to Jeerlead. Kit asked me and I nervously agreed. Four seasons later, and they haven’t asked me to leave yet. Maybe the person they put in charge of telling me just forgot and they decided to roll with it. What initially drew you in, and what keeps you coming back? I remember watching a few episodes of Roller Jam (banked track sports entertainment version of the game I now love), and I always thought it looked kind of cool. Sure it was cheesy, but the idea of the sport seemed really fun. Like most things I enjoy, it got cancelled right after I started getting into it. When I was asked to come see a bout in person, I wasn’t sure what to expect. I thought it would be difficult to follow at first, but I was completely wrong. I was hooked from the first jam. What changes have you seen to the game and the league throughout the years? Seeing the loss of minor penalties was the hardest because it’s less enjoyable when players go to the box so often. Also, the Rumble Bs’ yellow boutfits. I’ve never been to a Bs’ game, but I hear they were absolutely fabulous. Favorite team (this might be a tad obvious)? Sa-Ke Tu-Yas (clap clap clap-clap-clap). They’re my team, my homies, my ninjas. Any favorite players? Obviously EVERY SAKE EVER, but if I had to pick one I’d pick Tina Tourniquet. I love watching her block and knock opposing players into the suicide seats. For non-Sakes, I love/hate watching Trouble MakeHer jam because she’s like a cold wind that bites through your jacket; you think you have what you need to stop her, but it doesn’t work. I also enjoy watching Madditude Adjustment because it seems like she’s in control of the game whether she’s leading the pack as Pivot or when she’s blocking. Honorable mention goes to a non-skater, Father Timeout, the person I want to be when I grow up. Anything you want to do as a Super Fan/Jeerleader that you haven’t done yet? My life’s goal is to zipline off of the balcony at Shriner’s (the one with the sweet slide) while wearing a Phantom of the Opera mask. I can dream, can’t I? Now that you’ve read about a few of our current Super Fans, WE WANT YOU! Are you the pinkest, sparkliest person in the Stix army? Can your Demons’ AHOO be heard down the street at Dunkin Donuts on game day? Do your Ninja skills awe and amaze even the mightiest of Sakes? Can you name all of the Shocks, in alphabetical order, from origin until now? ARG has some big things in the works for our Super Fans and if you’re interested in being part of this movement, email rosiederivator@atlantarollergirls.com and get in on the secret!